“No Blood For Oil!” . . .
Now, Minnesota is my home territory. I know something about the culture and the “blood” here. This woman, long straight blond hair, tucked behind her ear, was clearly from Slavic stock. Her immigrant ancestors surely settled in southeastern Minnesota where they established dairy farms. It didn’t matter whether this gifted academic used self service pumps or said “fill ‘er up” at a full service place, her very life depended on cheap oil. Oil, you see, is the very thing that freed her from a life squatting just ahead of the right hind leg of a milk cow. Twice each day, she would have squatted right up against the flank of the cow, pail between her legs, both hands drawing milk in rhythm. The cow’s tail, reaching for flies, would slap her face in its own rhythm. The left didn’t show up much on streets and bridges during the Clinton 1990s. But they were wary and watchful as Clinton enforced the UN No Fly Zones against Saddam. But in 2003, they sprang into action against President Bush (43) as he freed Iraq. Now, President Obama has gone out of his way to declare the current action against Muammar Gaddafi humanitarian. Secretary of State Clinton has firmly declared our purpose and mission is humanitarian. Wrong. This Action Is For Oil. 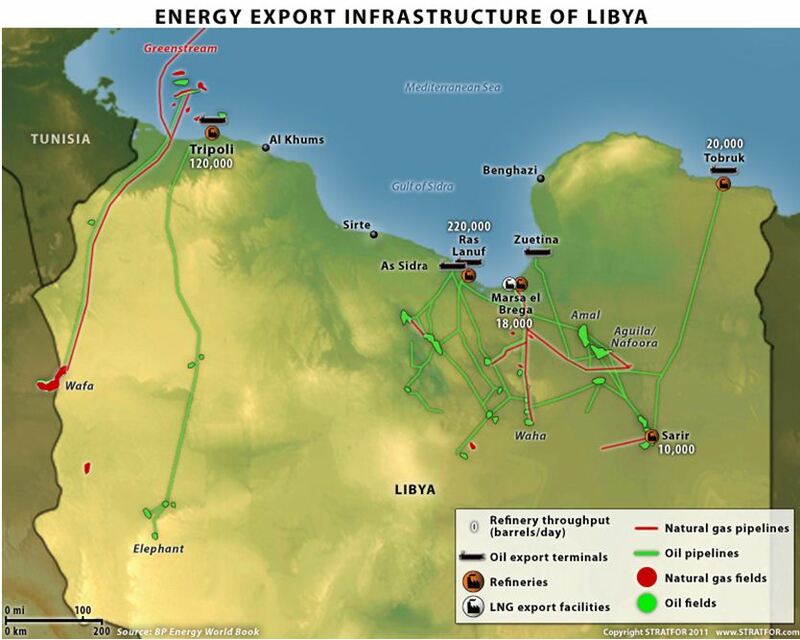 The No Fly action and all the rest is completely about Libyan oil! American power has never before taken military action so completely for oil. Of course it is not our oil. The administration is not concerned with our supply —with our pump price. 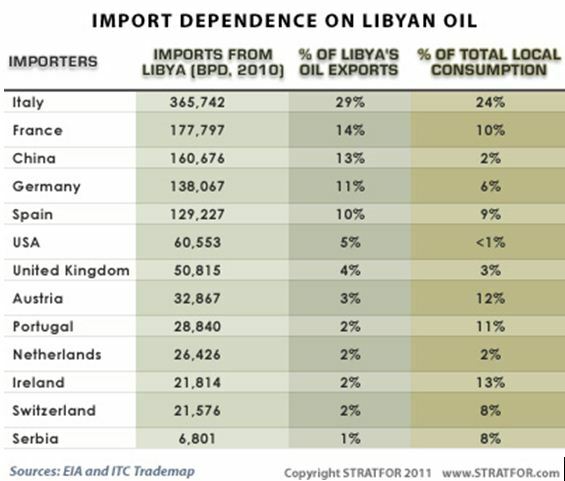 We get less than 1% of our oil from Libya. No, dear patriot, even without Cap and Tax, your energy cost will be high. This oil is for France. Or more fairly: Italy, France, China, Germany, Spain, Austria, Portugal, Ireland, Switzerland and Serbia. The UK is in it for different reasons. 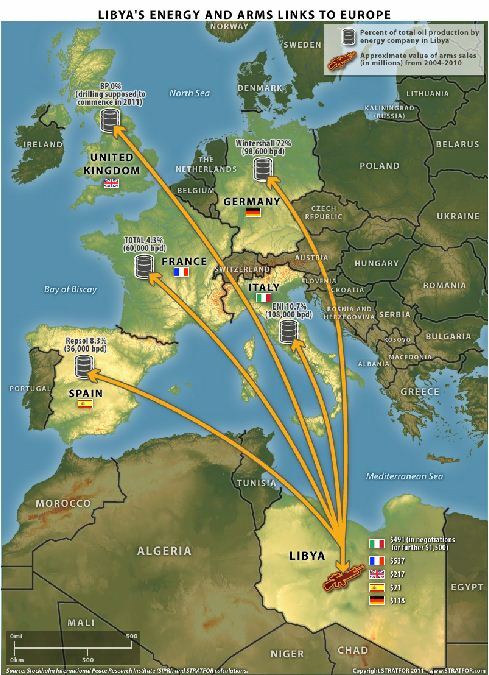 Libyan oil is a major source of revenue to the UK. The preponderance of the actual Libyan oil Infrastructure, transportation and marketing is British. You now have clarity on why, for the first time in nearly 200 years, the French aggressively took the lead and the Brits have been more engaged than at any time since Tony Blair. You now have clarity on why China stood aside at the UN Security Council. You now have clarity on why Obama (for real clarity, read Secretary Clinton) ran so hard to get to the head of the pack and declare leadership. These graphics, from Stratfor Global Intelligence, tell the story better than a book. Can’t we all agree? Isn’t oil and arms humanitarian? 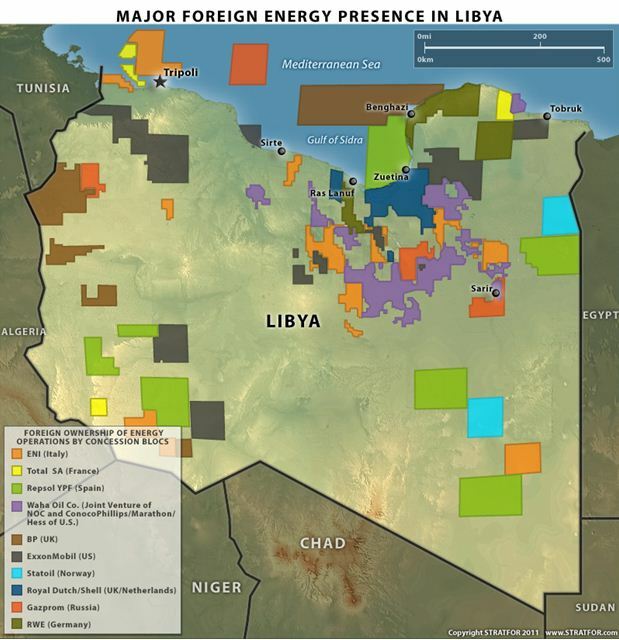 Energy competition, without Libyan oil, would signifiantly affect China. Two of the ten are American. Humanitarian interest in Libya color coded. This entry was posted in Media: Do Your Job, Obama. Bookmark the permalink.